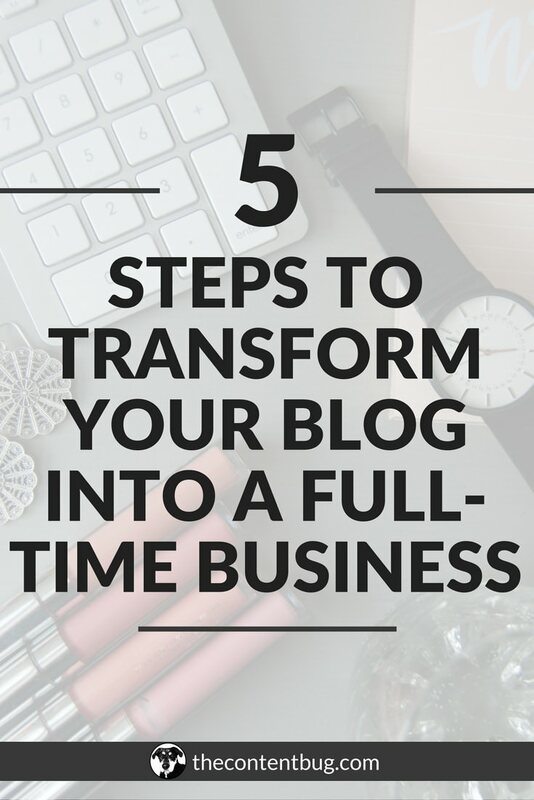 Transforming your blog into a full-time business is no joke. And it shouldn’t be something that’s taken lightly. 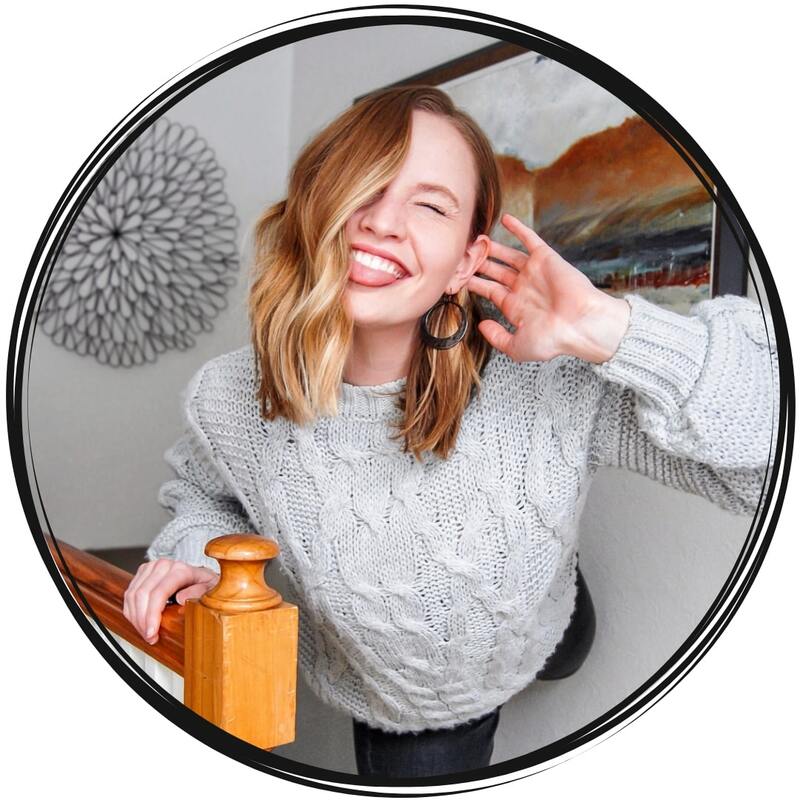 If you are a beginner blogger or someone who is just ready to take their blog to the next level, then it’s time for you to sit down and listen up! This is tough work. And you need to be brave if you are going to make this work. You need to be ready to do whatever it takes. 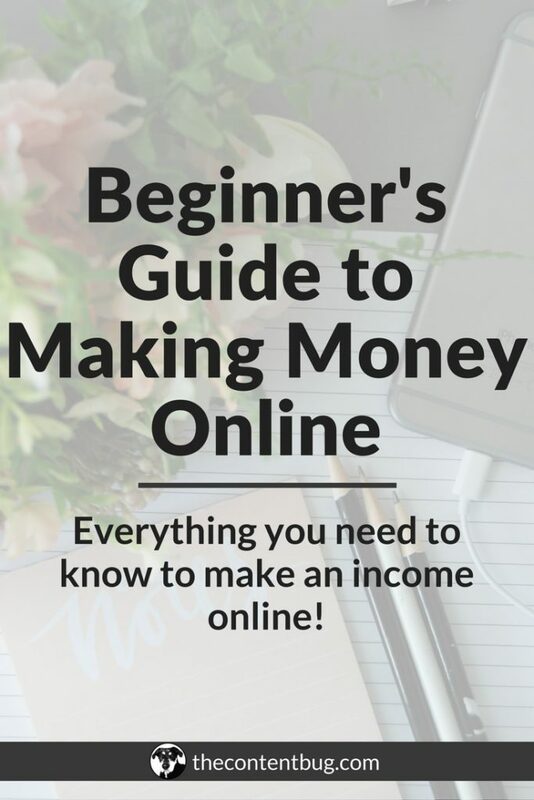 Accept whatever is thrown your way and change your point of view on a lot of things if you are really going to make a full-time income with your blog. And I can tell you this because I’ve done it. 1 year after buying my blog’s domain and 10 months after actually launching my website, I was able to leave my full-time position to become a part-time freelancer. And kiddo, it was not a walk in the park. This past year has been tough work. I’ve stayed up late, worked early mornings, and sacrificed spending time with my family and talking with my friends to get work done. And the reason I did all that was because I had drive. I knew that my blog would be successful, I just had to put in the work to get it to that level. And I would tell Alex over and over again that if someone just gave me $5,000 I would quit my job and work day and night to get my blog to the level of success that it was capable of. And I wouldn’t put all that money into ads or anything! I would just use it to let me live so that I could funnel all my energy and current resources into this website that you’re on right now. Well, it’s not surprising that no one magically handed me that money. And I never went asking for it. That was just a hypothetical situation that I kinda dreamed of. But you wanna know what did happen? All my hard work, all my late nights and early mornings paid off. 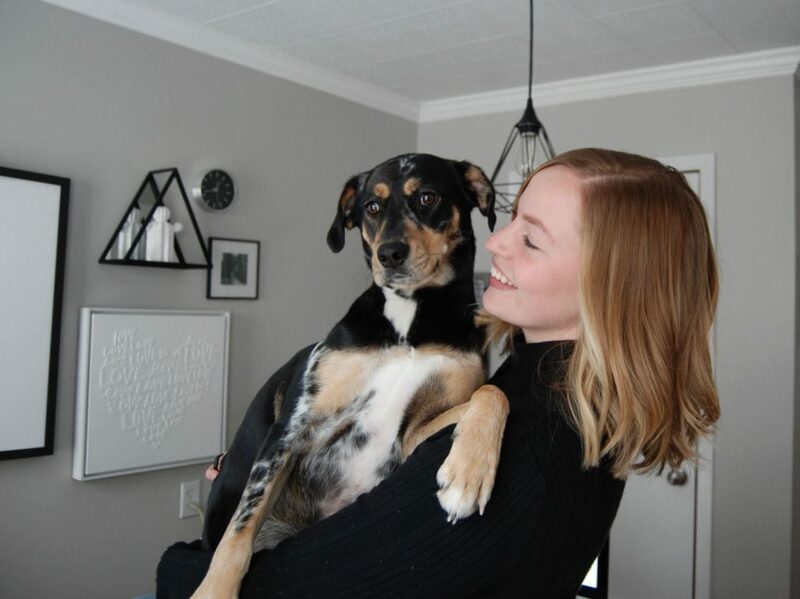 Within 10 months of launching my website, I had my first freelance content writing client that was willing to pay me $10 an hour more than I was getting paid for my full-time position. But that wasn’t the best part. The best part was that with this job I would be working for myself with a client that needed my help and appreciated my work, the fulfillment of this position would be part time so I could devote even more time to my blog, and I was making the same amount of money as I was working my full-time position. So now, here I am, a year into my blog and I’m running my own business. But just saying that isn’t enough for me. Just telling that story, although it may be inspiring and encouraging for all you beginner bloggers out there, but for me, it’s just not enough! Instead, I want to help bloggers transform their blog into a full-time business. And I want to help the everyday hustlers of the world chase their passions and create their success online doing what they love. So in this blog post, I’m going to run you through 5 steps that you need to take to transform your blog into a business. Are you ready, big dreamer? Did you do it for fun? Or did you do it because you wanted to create some change in the world? If you answered yes to either of those questions, that’s great! The reason you start your blog is probably not going to be the real purpose or mission behind it. 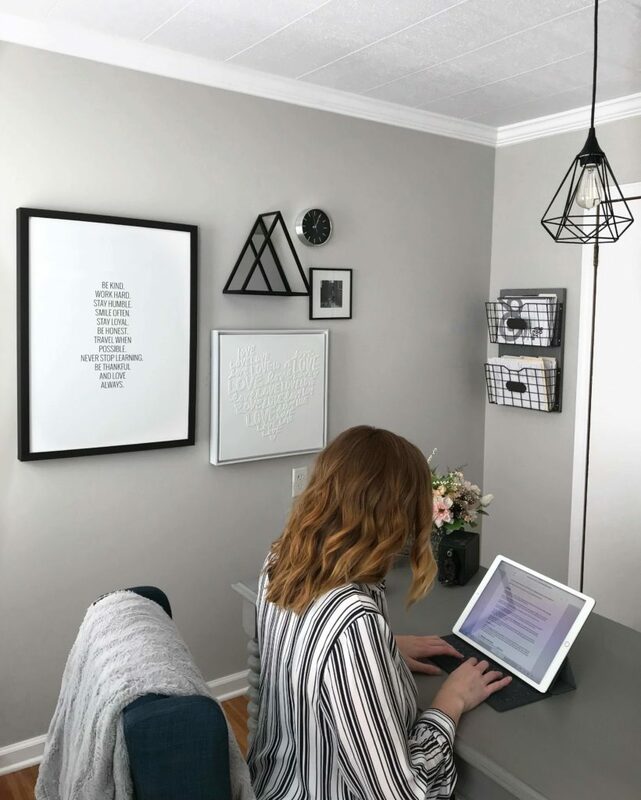 When I first started my blog, I wanted to use it as a creative outlet while sharing my knowledge of the digital marketing world. I really didn’t know too much beyond that. And over time, my purpose rose to the surface and my mission statement followed along with it. Oh… and so did my why. 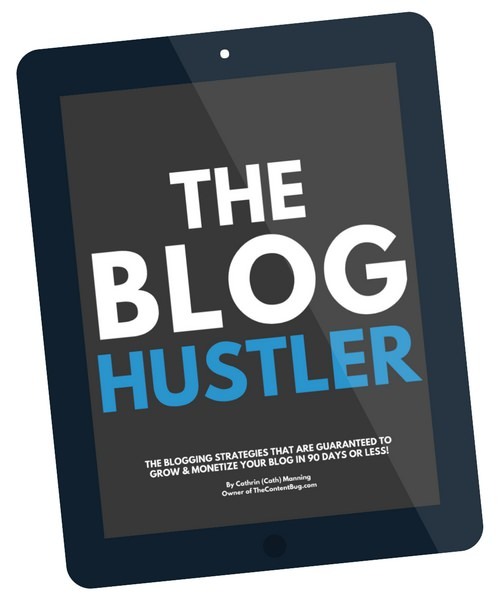 You might not know right now what the purpose is for your blog. And you might not know what your mission statement is. But I’m hoping that you have some idea as to what your why is. Why did you start your blog? Why are you doing what you are doing? When I first started my blog, I was doing it for myself but I didn’t really know it. I thought I was sharing this information to help other people understand the online world. But really, I needed my blog to help me to discover who I am and what my passion is. I needed my blog and I didn’t even know it. And that was one of my whys. It’s not my current why, but it was one of my whys that really kept me going. Once you have it, write it down. Then you need to transform this why into a mission statement for your blog. This doesn’t have to be shared with anyone, but this should be the driving force for everything that you do. So write a mission statement. It doesn’t have to be pretty. And honestly, it might change in a year. But it’s important to be working toward something right now! And there you have it, my friends. This mission statement is your purpose for your blog. With my blog, my purpose is pretty interesting. Because it’s not actually to help people understand digital marketing. That’s boring. My purpose is to empower people to be who they are and chase their passion by creating their success through the use of the online world. It’s pretty obvious to me actually. A couple days ago, I was listening to a podcast and they said that we tend to talk about what we need the most. And it’s so true! I use my platform to talk about not only blogging, social media, SEO and everything online related, but also self-confidence, personal empowerment, and dream chasing. For so long, I really didn’t have any confidence in myself. I would talk myself down and hide behind the personality of others. And that resulted in me not knowing who I was as a person. 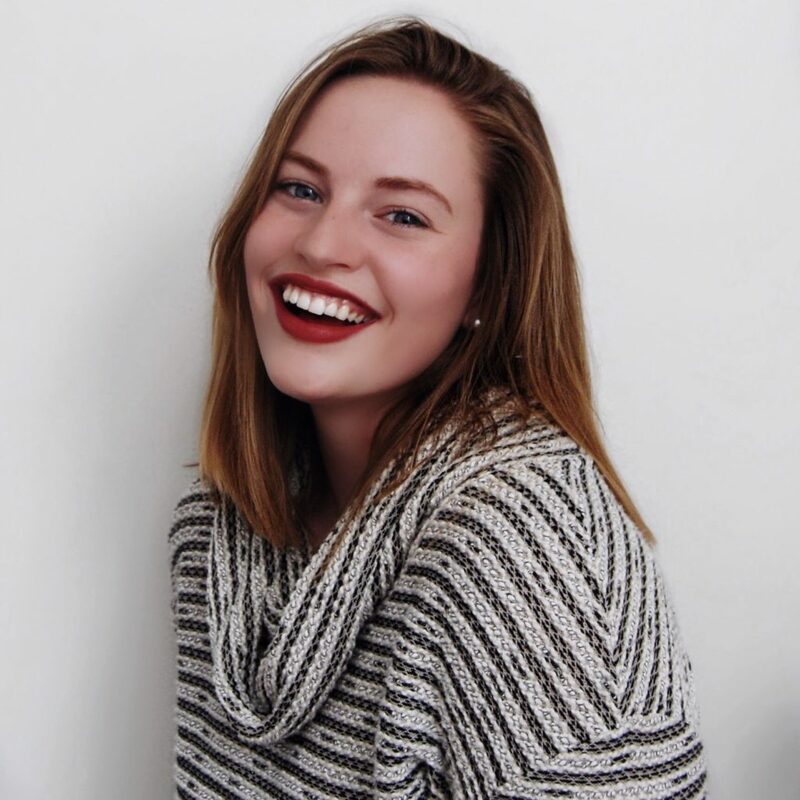 So when I finally figured out who I was and became comfortable in my own skin, I started talking openly about my experience! I use my stories as a way to connect with my audience and become a person they could relate to. I want people to feel like they aren’t alone. Because I know what it’s like to feel alone. And with my platform I share words of encouragement and positivity around being who you are and going after what you what! Because your dreams are possible. No matter what anyone else says. If you want to make a living off of your blog, then you need to know what value you provide to your audience. 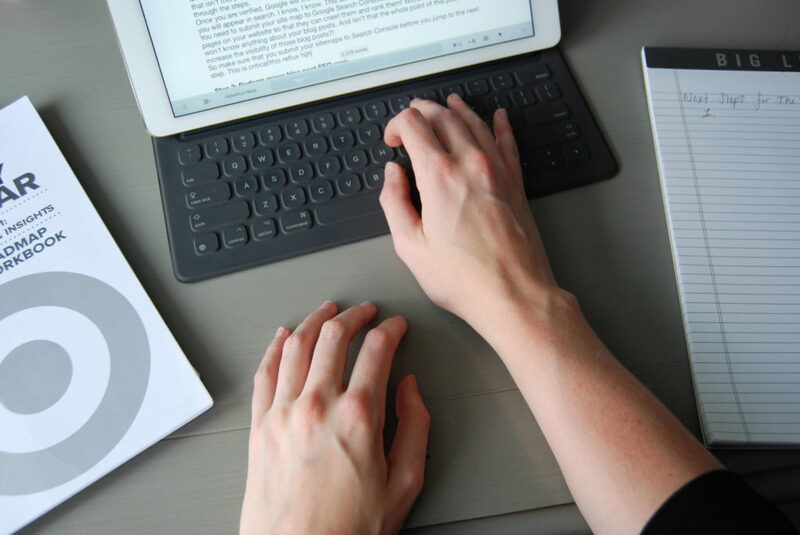 Your readers and followers should receive a direct benefit from your blog. Whether you’ve thought about it that way or not, the benefit you provide is really the only thing that matters. If you can’t provide a solid benefit that they can firmly see, then they will jump to the next blog that will help them. So let’s say that you are a fashion blogger. If you use your platform as a way to provide your audience with the best deals for the latest trends, then you are providing a real benefit! You are saving them money! And if you are a food blogger and you provide your audience with simple recipes that can be made in 30 minutes, then there is a direct benefit! You are saving them time! It doesn’t matter what your blog is, there is always a benefit that you can provide. And the way you provide that benefit is through providing valuable content. The content you share on your platform should align with your mission statement and should also be focused on how it provides your audience with value. If you are just publishing fluff to keep your blog active, that’s a waste of your time. So get serious and provide real FREE value to your audience. A lot of bloggers get started because they want to make money. You surf Pinterest and you see that some bloggers are making $100,000 a month. And you think, ohhh I want to do that! Well, honey… so does everyone else. And I hate to be the one to break it to ya, but to get your blog to that level takes a lot of work. You can’t just produce a product and expect it to succeed. I know… because I’ve done it. I’ve created a paid product too early. And I launched that product when I didn’t have the audience to actually buy into it. So you want to know what happened? It’s not a surprise actually. But that product flopped. And as it should have. Honestly, looking back, that product wasn’t much good anyway. So I ended up pulling an audible and I turned that paid product into a free product. I had about 40 people that signed up for it once it was free. And then I took it offline and created something better! Because that’s what we do as creators. But the lesson I want you to learn from this is before you can make money, you need to build your audience. There is this pretty cool equation that you can use to determine how big your audience has to be to make the money you want. So let’s say that you want to launch a paid product but you don’t know what yet. The two options you are debating between are an online course and an e-book. (The amount you want to make / The price of the product) / average conversion rate = The number of people you need in your list. Okay. I can already tell that I lost you! So let’s look at 2 examples. Let’s say you want to see what would take to launch a success online course compared to an e-book. Email list – ??? <- this is what we want to find out. How many people we need in our list to make the money we want. ($2,000/$297) / 2% = ??? To make $2,000 with an online course priced at $297, you’ll only need around 337 people on your email list. You can do the math yourself if you don’t believe me. In order to make $2,000 from the launch of an e-book priced at $16, you’ll need 6,250 people on your email list! Making money online is no joke! And you need to take the time to build a quality following before you can sell something that’s really successful. So take the time to build your audience. And while you’re at it, use this equation to determine the price of the product you need to sell and how big your list has to be to make the money you want. And don’t get discouraged! Let this be the fire under your booty! By now, you know it’s not enough to just create a product. It’s just not. You need to create a plan. And the reason I gave you that equation above was to help you when creating a plan. So the first thing you need to think about is growing your audience. How big does your email list have to be to get the amount of money that you want? What kind of product are you going to produce to make the money that you want? And this is where your money making plan comes in place. PSSSSST. There is a 10 Day Money Making Guide in my FREE resource library! But you must be a VIP to get access. Plain and simple, you need to set your income goals. 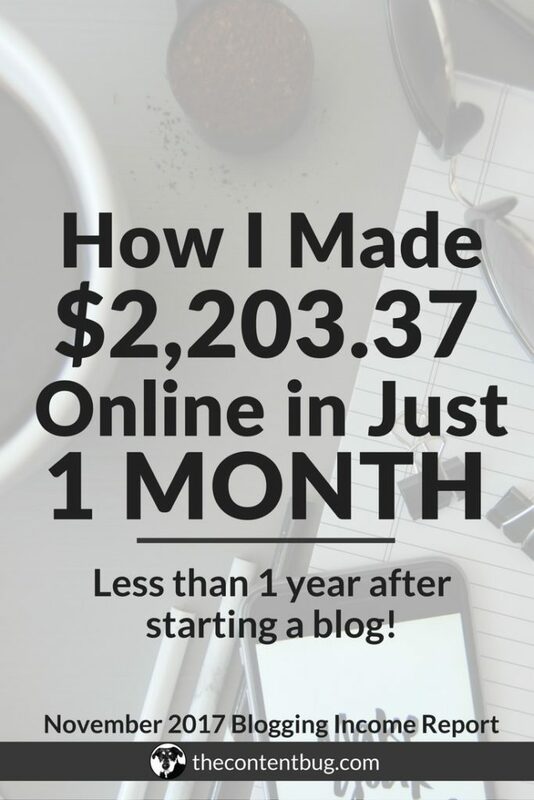 If you want to transform your blog into a full-time business and make a full time income, then you probably want to make more than $2,000 a month from your blog. Or maybe you could actually only make $1,000 from your blog and you’d be happy! But make sure you think about everything! This is where my limited knowledge comes in from dating an accountant and financial guy. Think about your fixed expenses each month. What does it cost to live? Meaning your rent, food, and utilities. Then think about your additional expenses and what you would have to sacrifice if you make a little less money than you ideally need. Think it all through babe! And then set your income goals. This is my jam. This is my favorite part of everything I do. Outlining projects and getting stuff done! 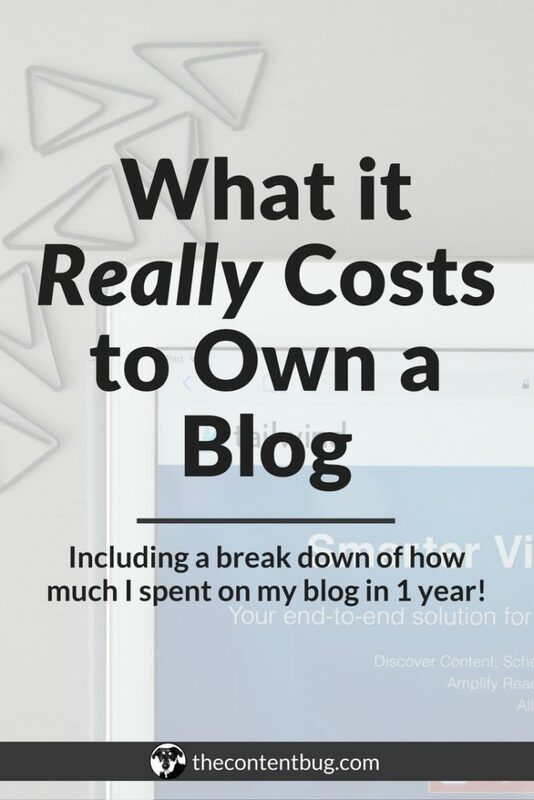 So you know that you have to make $2,000 a month with your blog. Now what do you have to do to get there? Layout where this money is coming from. Is some coming from affiliate marketing, some from ads, and another part from a paid product?! Think about it. That’s all I’m trying to tell you. What projects can you outline to get to your goal of $2,000 a month? If you want to launch a paid product, such as an e-course… you need to do the research, come up with the name, outline the curriculum, create the content, produce sales funnels, design and write content for a land page, and so much more. Creating a product is no joke! So do the work up front to make it easy and organized for you as you move forward. 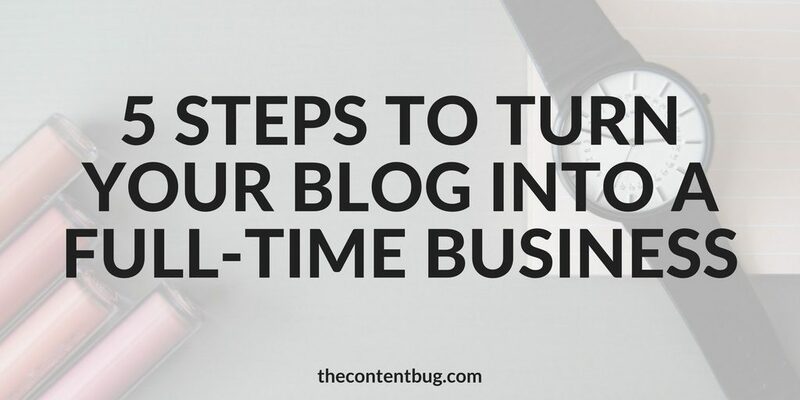 Well, I’m guessing that this is something you didn’t expect included in the steps to transform your blog into a full-time business. But it’s actually one of the best tips that I can give you. For so long, I held myself back. I let my attitude get in my way. And more importantly, I let my ego control my life. And I say that in a money making way. I grew up in a wonderful home with a single mother and 2 older siblings. My mom bounced between jobs and career paths several times. She was in banking, she was a teacher, she owned her own business, and now she’s back in finance. I mean, she’s been all over the board! And for part of that time, she was actually working 2 jobs. A full-time position, and then a part-time position 2 nights a week. But the thing is, she always made it work. And even when she was unemployed and collecting unemployment… she never let the doubt come into our mind that she didn’t have everything under control. Because she always did. We made it to every swim practice. We had food on the table. And we had each other. That’s all we needed. But despite her efforts to make our life worry free when it came to money, we learned a lot without knowing it. We learned that money doesn’t come easy. That you have to work for your money, even if you sacrifice your time and ultimately your life. We learned the typical sayings like “money doesn’t grow on trees” and all those fun ones. And subconsciously, that’s what I believed. I believed that my whole life I would be a slave to money. But picture me now. Starting my own business and trying to find ways to create a passive income. The one thing I learned is that I had to break down my attitude toward money and my subconscious beliefs that had stuck with me for so long. Because with that attitude, I’d never actually make any money. If you want to learn more about really making money and how your mindset effects it, then I would recommend the book You Are a Badass at Making Money. If you’re new here, I’m OBSESSED with these books! They are amazing! And they will teach you so much. But for now, I just want you to question the way you grew up and your perception of money. Because everything comes down to this. If you don’t think you are worthy of making money, you won’t. And if you think that you should just be rich without doing anything, that just isn’t going to happen. So sadly, my friend, you may have to change who you are. Just a little bit to make it happen. Treat money with respect and money will treat you with respect. It’s weird, but it works! And remember that money comes from a variety of different sources. It’s all around us. And it will come to you when you’re mind, actions, and money making work align. Step 2: Determine what value you are going to provide… and provide it! And that’s just about it. Making money doesn’t have to be that complicated. But on the same note, transforming your blog into a full-time business is no joke! And you need to get that through your head before you can really do it. Make the commitment to do the work. And you’ll be rewarded in the end!